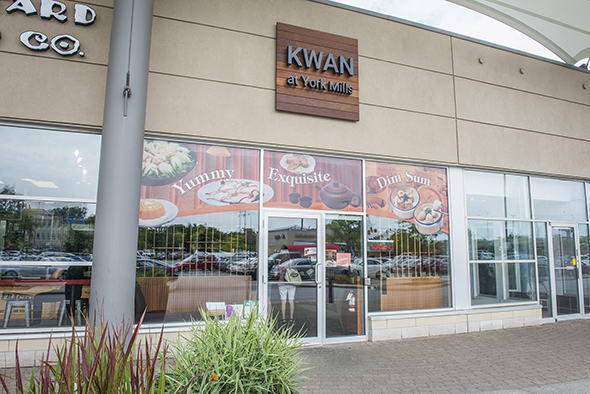 Kwan at York Mills has gone back to the basics. Unlike its location at Yonge and St. Clair , this restaurant doesn't do whimsical bunny-shaped desserts or cartoon-looking pork buns. This Kwan does all day dim sum. And really well, I might add. There's no cart service or Instagrammy gimmicks. 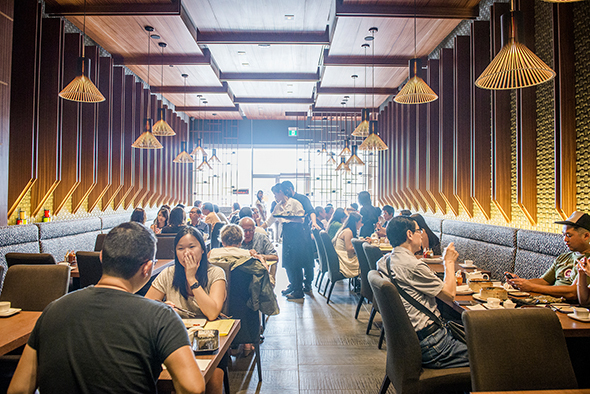 Just a minimally adorned, contemporary dining room for 70 where tea and freshly made dim sum are the main event. 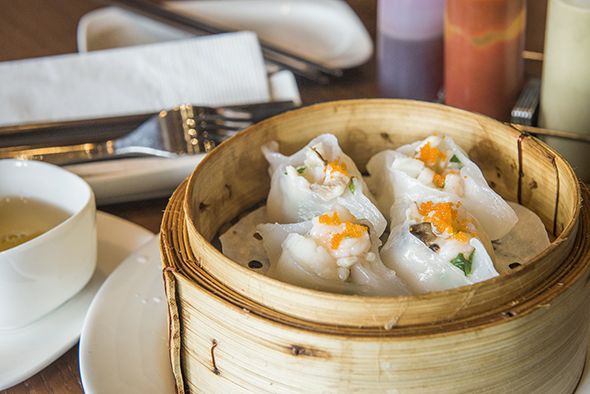 Owner Debbie Lui describes the aesthetic as Crouching Tiger meets In The Mood for Love . The front of the room is a nod to the romance of 1960s Hong Kong tea houses, while it's a battle ground in the back where dishes fly out of the kitchen. 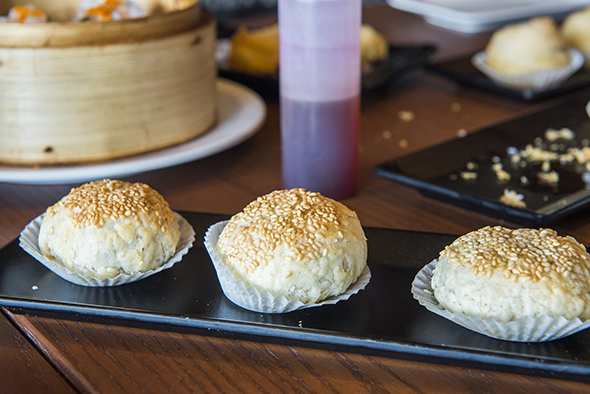 Lui prides herself on the quality and freshness of her dim sum. And while this menu seems more streamlined than the one at the original location, there are still 52 different dishes to choose from. 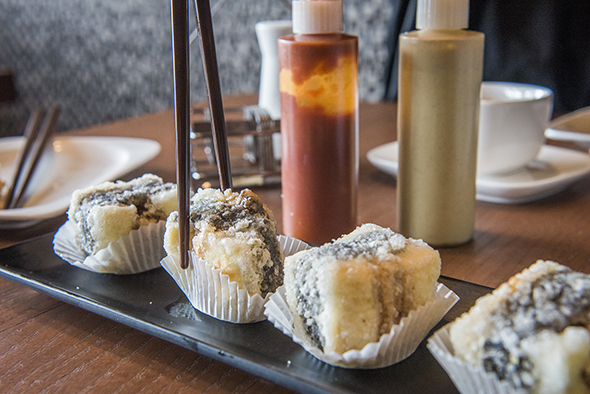 Steamed and fried options, rice flour wraps, congee and desserts are each priced between $3 to $6 a dish. It's an additional $2 per person for tea. First up, a steaming basket of scallop and mushroom dumplings ($6), each a plump, single bite of sweet, mellow flavours. Hot sauce, mustard and a vinegar are at the table for DIY dipping. Puffs of fried taro filled with a medley of seafood (crab, shrimp and scallops) arrive next, followed by turnip pastries and pan fried tofu with eel. The eel is a big winner for me today. Coated in a tempura-like batter, these deep fried chunks are meaty and substantial compared to some of the snacky-fried foods that precede it. 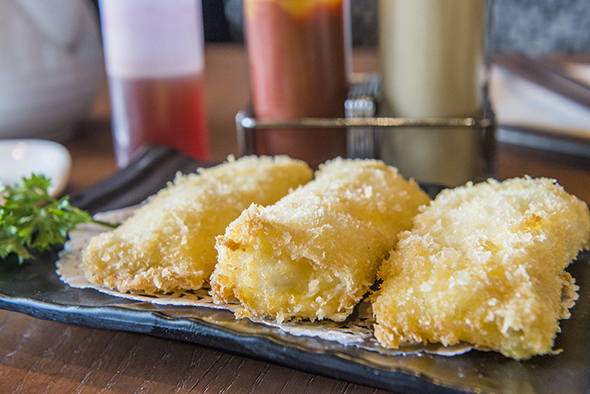 Then there's deep fried milk rolls ($5), a blend of 2 per cent and condensed milk frozen into bricks then battered in panko before being deep fried. 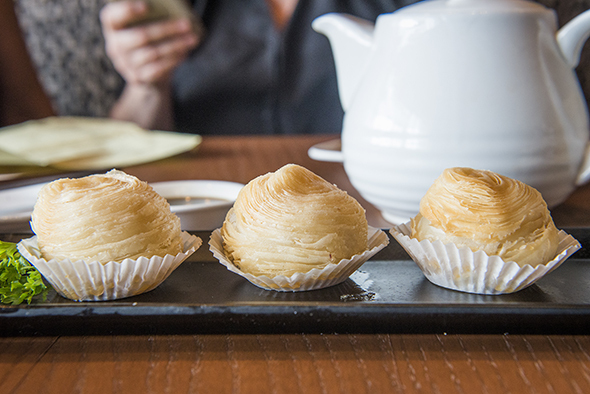 The subtly sweet cream oozes out of the crunchy golden shell after the first bite; it's a delightfully sweet counterpart to the otherwise savoury dishes. 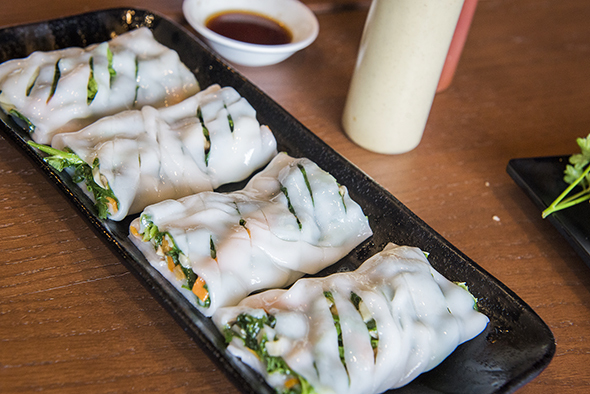 Rice flour noodle wraps filled with steamed snow peas and mushrooms are a pop of greenery on the table and they round out the sweet, savoury, creamy and crunchy flavours that are already present. 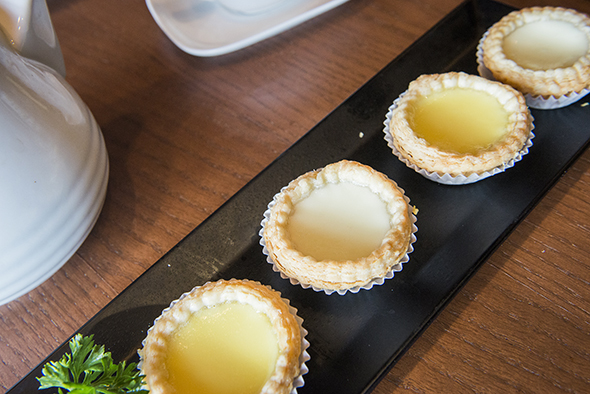 To finish, I grab a row of egg and milk tarts that are still warm from the oven. The custard isn't too sweet and the single bite dessert is an excellent way to end off this meal.